I’m always hunting for new authors that I can promote. 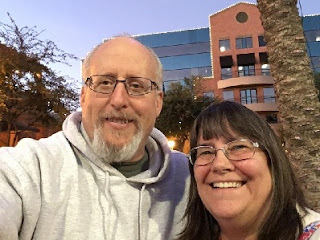 This time my travels took me to the Mesa, Arizona Public Library - Red Mountain Branch Part 2. 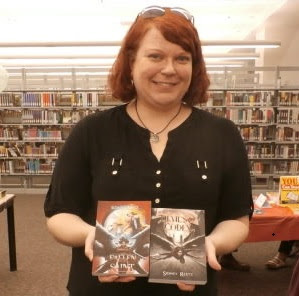 They were hosting a local author fair with over 40 authors attending and books galore. A Strange Trunk is delivered without warning! A young girl spends her summer with her Grandmother. They are talking together and find that the girl must write a story for school. She has no ideas as to what to write about. 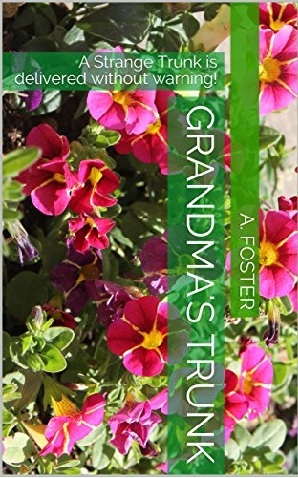 A strange trunk is delivered without warning, and her Grandmother has it put in the attic. The girl wants to know what is in it, but her Grandmother will not comment. The girl writes about what is in the trunk. Later the girl is all grown up and returns to her Grandmother's house after she has passed away. She finds the trunk in the attic, and filled with excitement, opens it. This story teaches faith in our children as a moral. We need to support and love each other in all things. I have been writing all of my life! Telling stories and making people laugh and even cry is my goal. My greatest joy of writing is when I find out that I have helped someone else unexpectedly in some way. My fans mean everything! You are not a true storyteller if you have not been put on the spot by your readers. They help me to stretch and become a better writer. The first story I wrote was a poem. The first story that I fell in love with. Lord of the Rings. 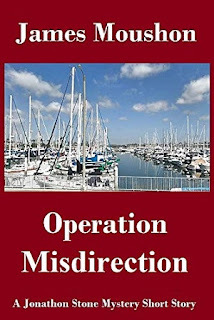 Cover design approach: I try to find something that reflects the story, in some way. Also, that would make a reader want to pick it up out of a stack of books because it caught their eye, and the title made them curious. How do you fight writer's block? I bake cupcakes. Does that always work? No, but I love cupcakes and you can share them. Have You Ever Heard An Angel Speak????? It seems adults have lost their creativity & imagination in this fast paced world. This book of poems was born, to help bring back what we once felt when we were young. 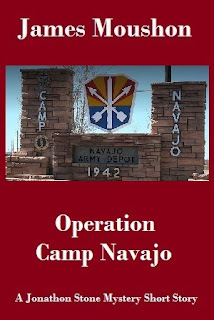 The book was designed for adults of all ages. You may want to add to your personal book with the blank pages in the back. Write your notes, dreams & thoughts. Slow down & enjoy what God has given you. Be thankful for what you have & see the blessings that are all around you. 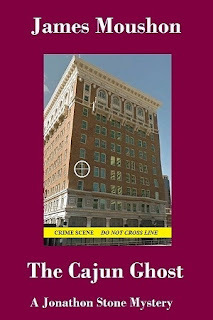 Paula says, “books are the window of creativity & imagination.” "Reviews" #1. 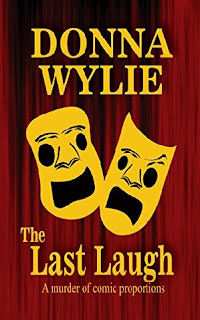 As Paula says, “take time, to make time, to laugh.” I am getting a couple of books for my friends. We are now going to spend our lunch time with an angel. What a refreshing & Inspiring book. A must have. From a Writer #2. 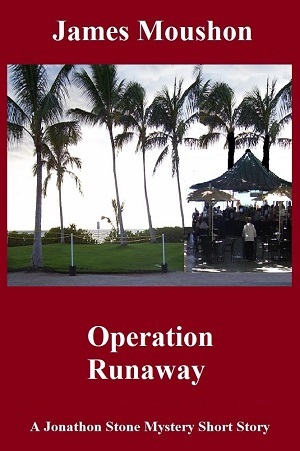 Paula has been writing and traveling since she was very young and this shows in her books. She has been teaching both adults and children. She is told she is more than a speaker, that she inspires her audiences. 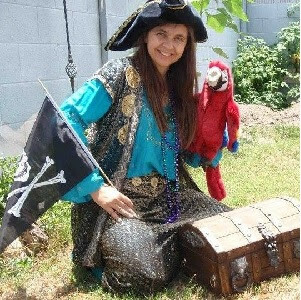 Paula has written a series of children’s books. These books were designed to bring out the creativity and imagination as the children are learning about life. The books can be personalized, so no two books will ever be the same. Children will learn to read, spell and write in their own book. (ages 2 & up) This prompted her to think about adults. It seems adults have lost their creativity and imagination in this fast paced world. 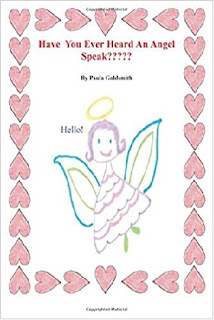 The book, "Have You Ever Heard An Angel Speak???" was born, to help bring back what we once felt when we were young. The angel book of beautiful poems is personalized by the reader as they bring out their creativity and imagination. Ages 10 to 110, many 7, 8 and 9 year olds love this book. 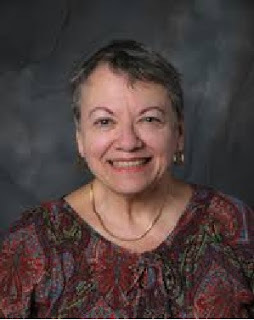 She has been speaking and teaching professionally to groups since 1984. 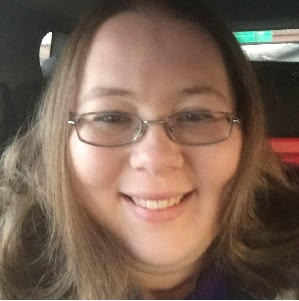 She taught a youth class in church, was the president of the women's church group, ran the women's banquet, wrote-printed-published the women's church bulletin and worked in vacation bible schools. Paula has owned a number of businesses and helped others with their business. 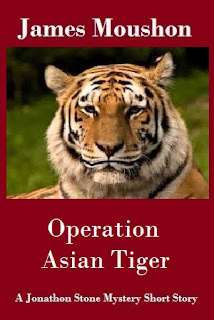 She has worked with many groups on fund-raising projects. She has run a number of them on her own. 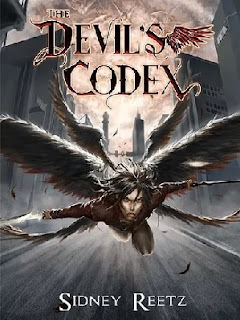 What if God forced Lucifer to betray him, needing a villain to be the counterpart to His hero? Fed up with the misbegotten blame and attacks from both angels and humans alike, Lucifer has decided to cleanse the taint of sin from his soul. Maybe if he can regain his reputation as an angel instead of a monster, then his heavenly family would let him come back home. 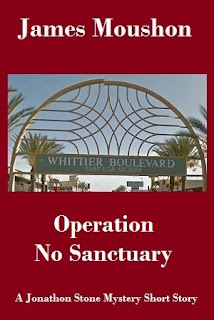 Welcome to Lost Port, California; a city so rife with misconduct it has been nicknamed The Devil’s Playground. Intent on turning the city around, Lucifer uncovers the trail of a serial killer, which places him under the scrutiny of a psychic homicide detective. As if that were not enough, the Devil’s luck doesn’t make it easy to keep off of Heaven’s radar; especially when Hell is in an uproar with prison riots and three escaped demons to track down. Yet assassin’s blades and the cunning of demons pale in comparison to Lucifer’s ultimate challenge; a child with a saintly destiny. She holds his salvation or damnation in her hands. As it’s said: the road to Hell is paved with good intentions. Born and residing in Phoenix, Arizona, the caffeine dependent life form known as Sidney started writing in the fourth grade for her own enjoyment. The stories penned back then were during her high fantasy period and involved a lot of dragons, elves and magic. She was ten years old. Needless to say, they were horrible and will never see the light of day – but were fun to write and taught her a lot about discipline. In elementary school she entered the ‘short story’ competition and baffled the organizers when she dropped off a 150-some-odd page manuscript. They must have liked it; she won second place. When not transcribing the Devil’s words, Sidney is an avid crafter and all around nerd. She likes listening to true crime podcast and making themed playlist far too much. Ryan Gregory shouldn’t exist. As the only known progeny of two angels, he is considered a blasphemy and extremely dangerous. With both Heaven and Hell out to kill him Ryan has spent his entire life on the run with his eccentric Uncle Azra. One would think that dodging Fallen Ones and hiding from the Heavenly Host would be enough to keep anyone busy, but there’s also the small matter of Ryan being the harbinger of an angelic prophecy predicting the end of the war between Heaven and Hell. The problem? Ryan needs to find a specific human to help him fulfill his destiny and he has no idea where to start. Enter the mysterious Stella Evangeline. Ryan finds a powerful connection with her even as she throws everything he thought he knew about the prophecy into question. 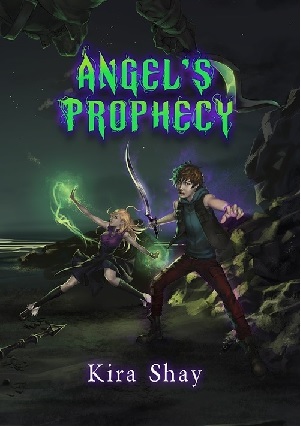 The discovery of a heavenly weapon hidden on earth has Ryan’s time shortened and his list of enemies growing. 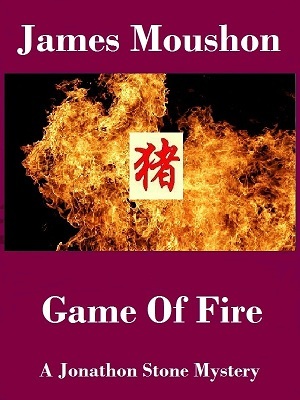 To keep either side from finding the weapon, he must chase after his destiny and save the world in order to prove that he should exist after all. Kira has been telling stories for as long as she could talk and writing them down as soon as she could hold a crayon. While her chosen writing implement has matured, she still enjoys weaving stories that both entertain and make people think. She is one of the founders of FSF Publications. She currently lives in Arizona with her husband, Will. Having a mistake in your lease fixed should be easy, unless you live in Dory’s building. With the help an amnesiac ghost, an emotionally muddled vampire, and an agoraphobic werewolf, she faces the supernatural dangers of each floor and staircase. 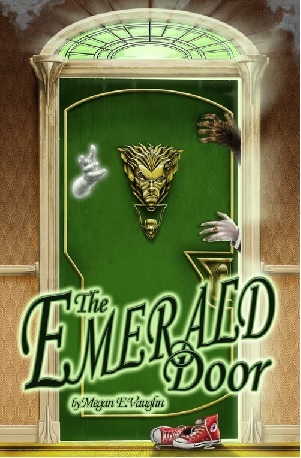 You’ll never complain about your neighbors again after reading this unique adaptation of Baum’s The Wizard of Oz. Raven’s deep-black team has thwarted several terrorist attacks on America. President Blager, having twice survived assassination attempts, now trusts them. The book opens with Raven and Josie isolated in a compromised safe house. They warn that a jihadist kill team is coming. The government sends an FBI counter-terrorism unit which is overwhelmed by a military force with heavy weapons. California asserts purview of the crime scene. Russia and Iran are allies. Raven needs help, but his working with Russia is unsanctioned, off the books, and under a false flag. Staying alive may pose a more difficult challenge than dealing with Iran’s Quds Force. 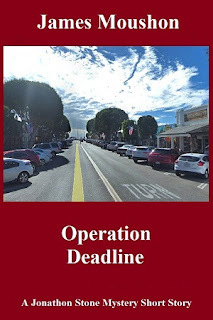 In the tradition of fiction writers, my life has been a rich drama, always interesting and often rewarding, but sometimes balanced on the edge of tragedy. I graduated with honors from Georgia Tech and was awarded a full Fellowship to get my PhD in Electronic Engineering, well on my way to a career in research until life got in the way. 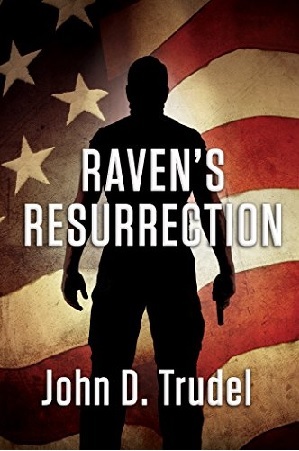 John D. Trudel has authored two nonfiction books and six Thriller novels: God's House, Privacy Wars, Soft Target, Raven's Run, Raven's Redemption, and Raven's Resurrection. 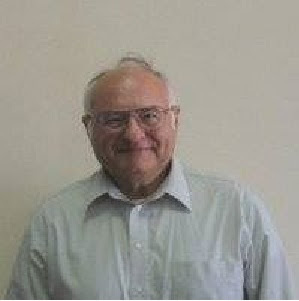 He graduated from Georgia Tech and Kansas State, had a long career in high-technology, wrote columns for several national magazines, and lives in Oregon and Arizona. The rugged heritage of bitterness and pain may leave you in the barrenness of a parched and cracked land. Brian and Maria struggle with the recent deaths of friends, the imminent loss of their children, and failed dreams. They fight to catch their breath in the savanna air of reality. However, when hope seems lost, the richness of the fertile valley overflows into their soul with a healing balm of hope. 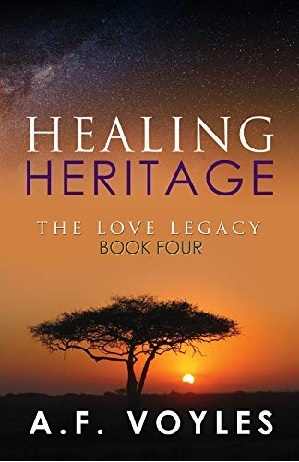 Whether, we feel that the heritage passed down to us from our parents and grandparents is good or bad, God can bring healing in the wilderness of our hearts, and His unconditional love springs forth life we never imagined possible. Travel to the mysterious land of Angel’s birth. Discover the adventures stored up in this family’s legacy. Relish in the beauty of hearts reunited and love rekindled when thought lost in the treacherous woodlands of despair. 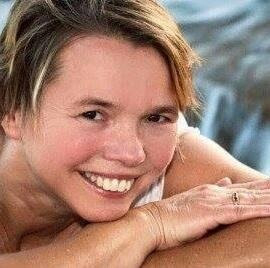 Alice Voyles is an inspirational and motivational speaker, author and teacher. She has ministered with her husband, Melvin for thirty-one years. She is a mother of two daughters and multiple spiritual children. Alice also has three adorable grandsons and one delightful granddaughter. 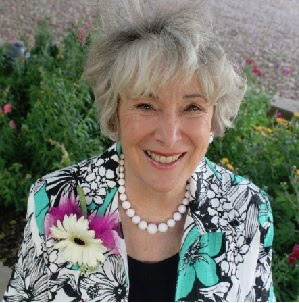 Her hobbies include hiking, reading allegories and novels, playing with her grandchildren, volunteering with the Christian Motorcyclists Association and Service learning projects. She teaches and serves at Grace Life Church in Gilbert, AZ. 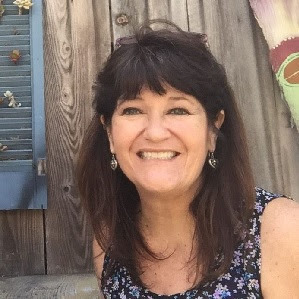 Alice’s passion is spending time with Jesus, writing and equipping the body to fulfill their God-given dreams, growing in intimacy with their Savior, understanding who they are in Him and knowing their heavenly Father’s love for them. She would love to share with your group. She is a dynamic, inspirational and gently powerful speaker. Think murder isn't funny? Someone thinks it is. Someone with a sick sense of humor is murdering comedians one by one so they can win the competition to be the last comic standing. Someone with an insanely intelligent sense of humor wants to make sure everyone gets the joke; even the cops. Because - you always want to leave them laughing. But that doesn't mean you have to leave them breathing. Especially if you want to have the last laugh. 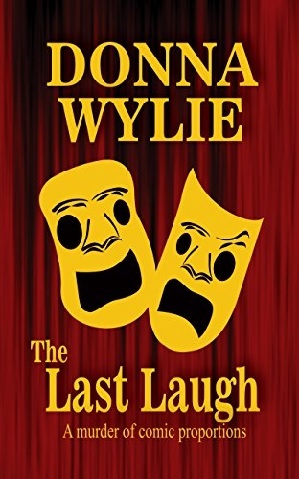 Join detective Fitzhugh and his beautiful partner, Detective Lynn Kelly, as they try to figure out the punchline before more comedians die. Everything is fuel for the fire of Donna’s imagination. Everyday occurrences become plot twists. News stories prompt a flurry of “what if” questions: What if that happened here? How would I feel if that happened to me or someone I know? How would I respond in that situation? Some authors tell you the secret to their success is that they write every day. Donna’s suggestion to potential writers is this: don’t think of writing or story-telling as a separate activity. Life is the story. You just need to capture all the fascinating, split-second, here and gone moments of it! Her advice is simple – carry a notebook and pen with you at all times. Or have an app on your phone where you can enter notes. Whatever you use, be ready. Ideas come at the speed of life! Don’t lose them! Donna’s philosophy has always been that life is too interesting to confine yourself to just one genre. Poetry was her first love and continues to be her passion, but she also writes non-fiction books and articles that are focused on educating and helping others. 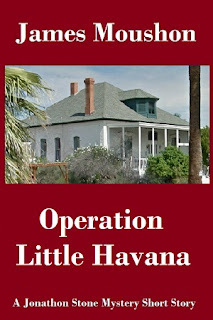 Novels are a more recent interest, an outlet for both her imagination and her sense of humor. If you think murder can’t be funny, you need to read her books. They reflect Donna’s other philosophy – that life is too short to be taken seriously! Donna used to think writing a novel was beyond her abilities until 2010 when she accepted a challenge to write a novel in a month. 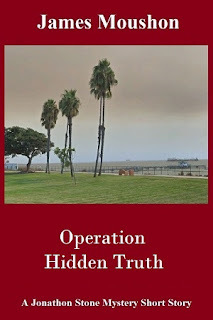 That experience reinforced her belief that everyone is capable of writing, a philosophy she loves to share with others. She loves to encourage new authors, young and old, and is always ready with positive feedback and helpful suggestions. 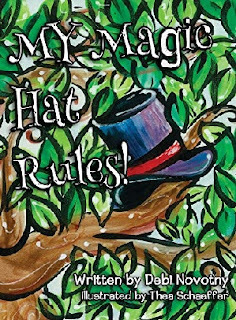 Follow a magic hat to school where you will learn new reading rules! This delightful book will charm and delight with rhythmic narration and whimsical illustrations that are perfect for early readers. You will surely be inspired to use your own magic hat to create and read new words together. Debi draws her inspiration for writing books from twenty years of teaching early childhood education. 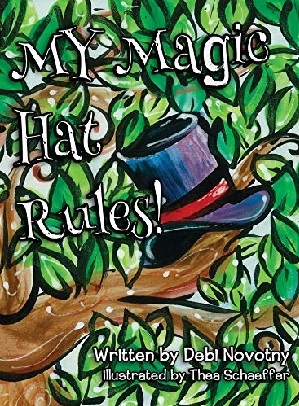 Her magical years of teaching led her to write My Magic Hat Rules! "Kids love books, they love hats, and they love magic. Combine all three and you have a memorable reading experience." 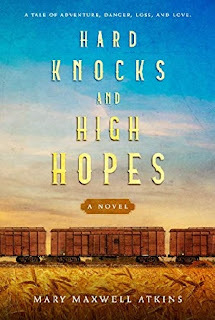 Hard Knocks and High Hopes focuses on two individuals and their lives from 1907 to when they meet following World War I. 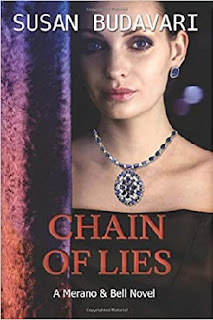 It is a compelling historical novel that tells two coming of age stories. 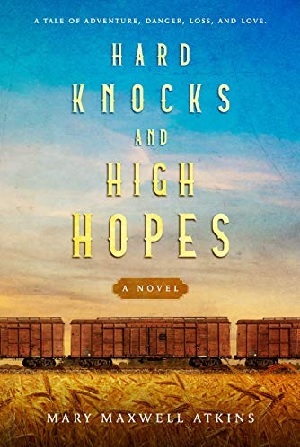 Raymond, an orphan from Kansas, runs away from indentured servitude to ride the rails with his friend Dwayne. They find a challenging and sometimes dangerous world awaiting them. Raymond changes his name to Richard for a fresh start and self protection. Annie, the courageous young woman of the story, defies her parents' wishes by leaving their homestead and pursuing an education. After the war, Richard and she meet. He feels he has found his true love. But their difficulties have only just begun as their dreams do not coincide. 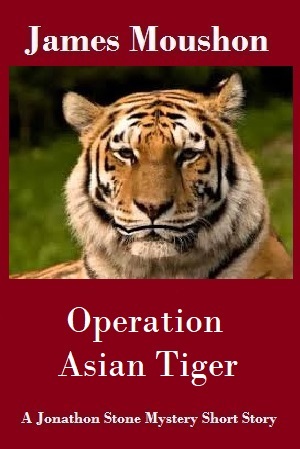 This is a tale of adventure, danger, love and loss. The characters will resonate with you long after the final page. 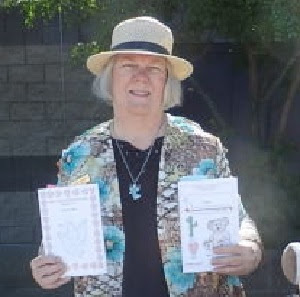 Mary Maxwell Atkins lives in Mesa, Arizona with her genealogist husband. She has two exceptional children and lots of grand children and great grandchildren. After pursuing a classical singing career and teaching school and music, at the age of 70, she began to write short stories, then books. 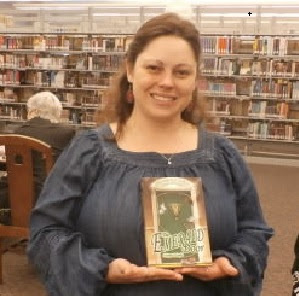 After her husband called her writing a "hobby," she published her first book. 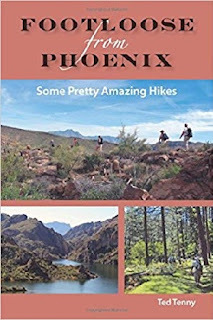 33 areas to hike, centered around Phoenix, most of them not in any other guide ~ 42 user-friendly topo maps ~ 270 color photos ~ Detailed trail descriptions, difficulty ratings, seasonal advice ~ Safety tips much, much more! 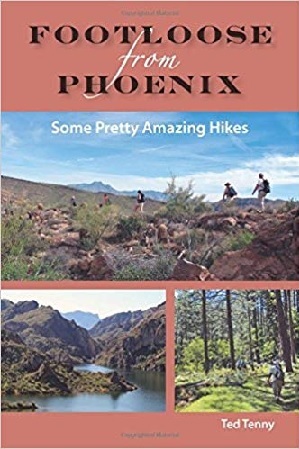 Featuring the following regions: Flagstaff, Sedona, Sitgreaves National Forest, Mogollon Rim, Superior, Superstition Mountains, Tonto National Forest, Goldfield Mountains and more. Information on each hike includes driving directions to the trailhead; description of the hike; distance; time; elevation change; best season to hike; and trail rating. Step-by-step descriptions of the trail in the text are keyed to excellent TOPO maps. Ted Tenny is a lifelong outdoor enthusiast. When his career brought him to Arizona in 1991 he went hiking his first weekend. 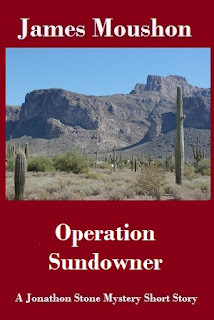 Ted has hiked extensively in Arizona and other southwestern states, specializing in one way hikes that are frequently off trail. What it was like to live and work as an American reporter in Europe in the mid-1980s, covering stories for a weekly TV newsmagazine broadcast on PBS. 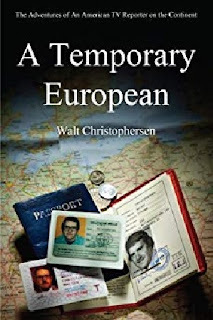 Author Walt Christophersen describes everyday situations at his home base in Cologne, Germany, such as finding an apartment and buying a car, plus experiences on the job as he travels a wide area stretching between Iceland and Cyprus. His assignments take him to the Normandy invasion beaches and Dresden to cover key wartime anniversaries. On the lighter side, he confronts gypsy pickpockets in Paris and tracks down Sherlock Holmes in Switzerland. Taking a wider look at international broadcasting, the book also peeks behind-the-scenes at Blue Danube Radio in Vienna, Radio Free Europe in Munich and CNN International in Atlanta. Walt Christophersen is a lifelong journalist who began as a columnist on the campus newspaper at his alma mater, the University of the Pacific in Stockton, California. 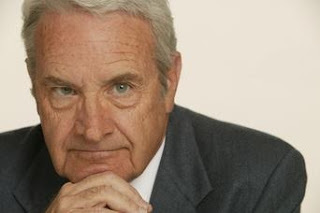 Most of his career was devoted to TV news. 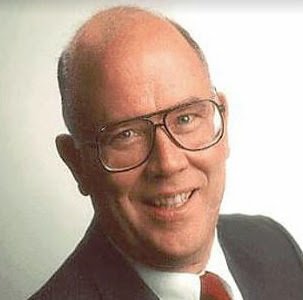 Like many others in the business, his jobs took him to half a dozen cities between North Carolina and Southern California, where he worked at various times as a writer, producer, reporter, copy editor and news director. For nine years spread over the 80s and 90s, he worked in Germany, first as a reporter for a weekly TV newsmagazine produced in Cologne for broadcast on PBS and later as a writer/editor for Radio Free Europe in Munich. He recounts what it was like to live and work in Europe in his first book, A Temporary European, published in 2009. 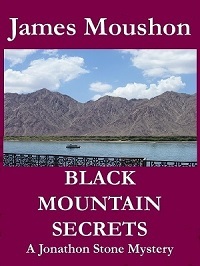 His second book, By Ship, Train, Bus, Plane & Sometimes Hitchhiking, published in 2011, is strictly about travel, with an emphasis on getting from one place to another. It covers trips he made in the 60s and 70s which included exploring dozens of islands in the Pacific and making a six-month journey, mostly overland, from Beirut to Tokyo. Great article! Thanks, James! Interesting to read about all my fellow authors.